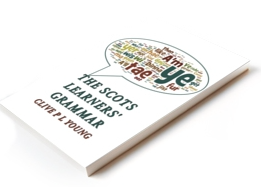 ← Whit did Scots fowk soon like a hunnert year syne? Went tae a presentation on this projeck by Jane Stuart-Smith on Thursday. As ye’ll mibbies ken there bin a fair rickle o academic wark done on Scottish phonetics, luikin fur ongaun soon chynges an the like. Masel, A’v aye been a *wee bit* sceptical o sic a narra focus but a hae tae sey this was deid interestin. Ae ootcam wis that aifter comparin recordins gaun back near a centurie (see ma ither postin the day) they foon Glesca dialect *wis* chyngin but “despite substantial mobility over the 20th century in the UK, the direction of sound change in Glasgow is not towards Anglo-English”. Nae whit ye’d think, in ither wirds. The Sounds of the City project at Glasgow University looks into speech sounds of Glasgow past and present. Just as the landscape of the city has experienced transformations over time, the speech of its residents has been continuously changing. The city of Glasgow has a very distinctive dialect and accent. Its famous incomprehensibility has even been demonstrated in a lab experiment, and is seemingly consistent over time.